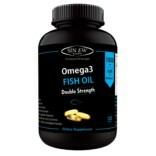 All of us are well aware of the vast health benefits of eating fish or consuming fish oil. 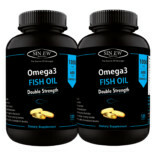 Fish oil has a very high content of long chain Omega-3 fatty acids, docosahexaenoic acid (DHA) and eicosapentaenoic acid (EPA). Your body is unable to synthesize these essential components, thats why they have to be incorporated in your regular diet. There are a lot of benefits of including fish or fish oil in your food chart. 1. It is known to decrease the risk of depression, anxiety and other nervous breakdowns. 2. It assists the muscle in breaking down the protein and its further absorption. 3. It reduces the blood cholestrol level. 4. It contains high level of calcium which ensures healthy bone structure. 5. Fish oil has also been proved to prevent variuos types of cancers. 6. Full of antioxidants, it protect the cells from the damage caused by harmful free radicals. 7. It’s daily consumption reduces the risk of high blood pressure and other heart diseases. 8. It encourages the secretion of certain chemicals that help in controlling inflammation in joints, bones, and tissues. 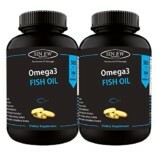 Fish oil contains some really crucial chemicals that cannot be otherwised produced by the body. These compounds are highly advised by the medical experts for good health and mind growth. EPA : EPA (eicosapentaenoic acid) helps in reducing the production of AA (arachidonic acid), which cause the cellular inflammation. It also maintains healthy functioning of brain and retina. 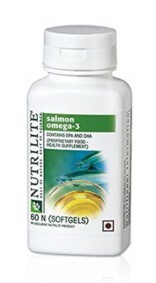 DHA : DHA (docosahexaenoic acid) compliments the EPA in reducing the inflammation from joints, bloodstream and tissues. It plays a vital role in fetal development, early infancy and old age. 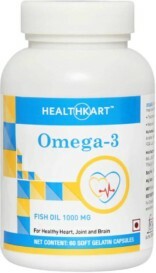 Omega 3 : Omega 3 fatty acids have been known to prevent cancer, cardiovascular diseases, and inflammation in body. Its regular use can improve mental health and decrease the risk of old age diseases such as dementia. 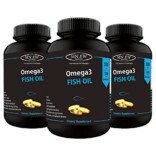 Omega 6 : it is very essential for the growth of brain and muscles, thus critical for people of every age. It is present in the form of linoleic acid which plays crucial rule in reducing swelling, pain, and blood thinning. 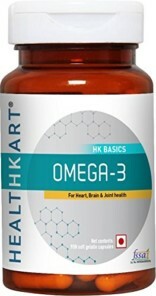 Omega 9 : omega 9 fatty acids help in reducing the level of LDL (bad cholestrol). They are also needed to control the blood sugar levels. Why Fish Oil Omega 3 Supplements? We as a traditional orthodox nation, have a lot of diverse communities in which some are strictly vegetarian. Then there are some people who just cannot abide the thought of eating anything that was once alive and swimming! 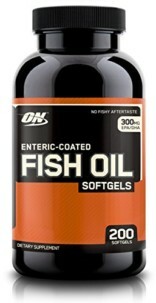 The only way left for them to sustain this health pool, fish, is taking fish oil supplements. There are a lot of national and global brands that brought to you the pureness and healthiness of a whole fish in just one tasteless and fresh capsule. 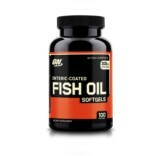 Infact, fish oil supplements are much less expensive than fish, therefore those who cannot afford to buy fish regularly, should five these supplements some real consideration. 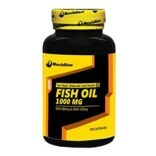 How Fish oil supplements are useful? For those who are regular fish-eaters, they are blessed to be able to consume this power packed food. 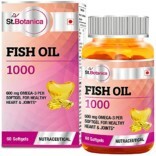 But those who cannot consume fish due to various reasons (read vegetarians), do not need to worry because thanks to the advanced medical technologies, now you can consume fish oil supplements that contain most pure and concentrated form of fish oil! These supplements can be taken by anybody anywhere and they provide a bunch of health benefits. 1. 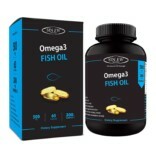 Regular intake of fish oil relieves stomach inflammation and soreness caused by poor digestion and other disorders. 2. They also lower the risk of Inflammatory Bowel Disease ( such as ulcerative colitis and Crohn’s disease). 3. Also improve the health of body cell membranes which are essential for the circulation of nutrients from intestines to the bloodstream. 4. It enhances the creation of probiotics or the good bacteria in the digestion system which helps many organs to function optimally. 5. 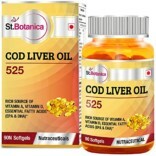 It leads to the fast absorption of fatty acids which improves the immune system. 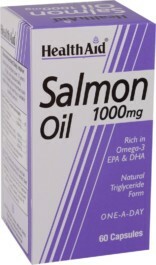 Apart from the health benefits, fish oil is also a very famous beauty agent. The regular intake of fish oil supplements provides nutrition to hair and skin, giving you a healthy and younger looking appearance. So now you know why some people appear most beautiful and healthy by just adding the goodness of fish to their daily regime. 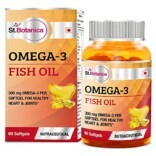 You can compare and buy the best fish oil supplements of leading brands at healthgenie.